We’ve all been there. You and your honey have been together forever and a day. You’ve even mentally designed the ideal wedding, kitchen island counter-top and the kids’ grammar school graduation. But lately, the relationship is hitting the skids and getting through an average day feels like wading through knee-deep Mississippi mud. You thought you’d found “the one,” but recently you’ve been left second guessing. How can you tell when your relationship has gone on too long? I’ve outlined four sure-fire ways to knowing when it’s time to hit the road. :: You want different things from life. Or you are at different points in life. Many say relationships are all about work + compromise. And you know what? You can expect negotiation – to a point. It is A-OK to negotiate on the color of the dining room wall, which movie to see on Friday night or who’s going to fold the laundry. But it’s a whole different ball game when it comes to more significant matters such as: a home in the suburbs or condo in the city, children or no children, the “when” of marriage and children or how money should be spent or saved. 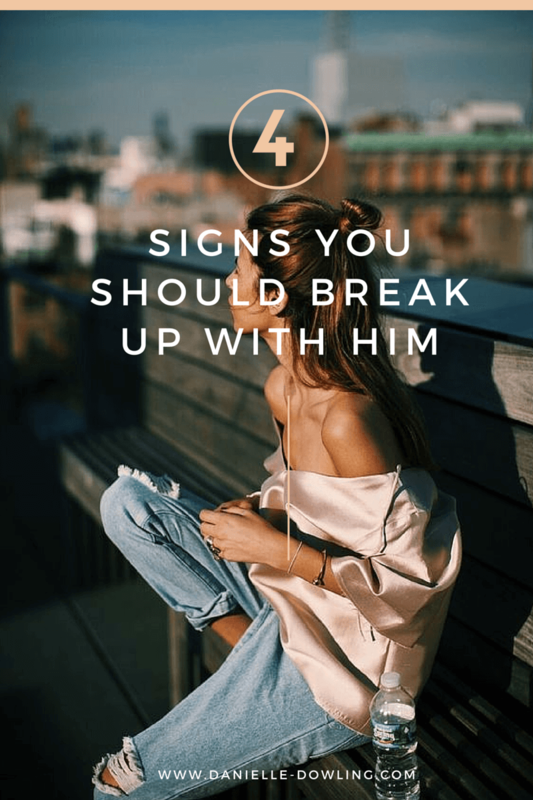 If you and your man are on opposite sides of the spectrum on these topics or the timing of these issues – you will probably be unhappy if you stay together. I emphasize timing because often both partners can want similar things but have very different time frames for them. For example, she might be thinking she wants to be in a relationship that leads to marriage in the next 18 months while he is thinking he wants to be in a relationship that leads to marriage in five years. 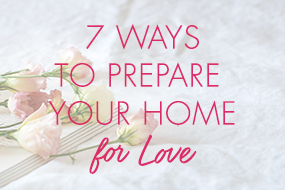 Don’t let the fear of possibly being single prevent you from hashing these matters out early on. It’s a proven fact that relationships have higher success rate with couples who share similar values and goals. Make sure the odds are in your favor. :: When you find yourselves arguing over the same heated topics. You can love someone + still not be suitable life partners. If you’ve broken up and rekindled the romance 9 times and you’re still having the same gut-wrenching, insomnia-inducing fights, OR slightly different versions of the same problem AND! you have exhausted therapy + every self-help book, CD and relationship seminar under the God-given sun…it’s probably best to end the relationship. Promising each other that “you will work on it” and actually taking action by changing behavior+ demeanor are two different things. One is empty words; the other is true commitment + growth. :: You don’t trust him. Your intuitions are the most effective radar system you have. A women’s intuition will tell her something is wrong long before it can be intellectualized or articulated. Don’t brush off an intense gut reaction. Be willing to investigate. Pay it some attention. Is it really an overreaction or are you afraid of what may be on the other side of the suspicion? One of the best things about being in a relationship is that you have someone you can fully trust in. Do you trust him with your emotions? When you’re upset, does he acknowledge your emotional state and respond to it with concern + thoughtfulness? Or is there a shrug of apathy? Do you trust him him to be mindful and honor finances, material belongings + your shared loyalty? Or are you possessed by curiosity + driven to check his snail mail, email, Facebook + Twitter accounts? :: When your self-esteem is under attack. You want to be with a partner who knows you are not perfect but treats you like you are. Being in love should enhance your sense of openness and receptivity. It should plug you into an electric current of bright energy + acceptance. Are you feeling MORE self-conscious because of the way he treats or doesn’t treat you? You don’t need to be in a relationship so much that you need to sacrifice your sense of self. In the end, the relationship you have with yourself is more crucial than the relationship you have with him. Any and all of the above scenarios have the ability to hold you back. Your extended participation in them is an indication you are ignoring your needs. Consequently, you freeze in the face of fear + the unknown of singledom. We tell ourselves it’s not that bad or that things will get better INSTEAD OF making a painful but positive change. If you want sleepless nights, pounding headaches, shallow breaths, loneliness + limitation than you will continue to accept the above. Extinguish what is holding you back. Thank you so much for this great article. It helped me to reaffirm that I did in fact make the right choice by breaking up with my boyfriend. For the first time in my life I chose my self respect and dignity over what a man wanted. Some people would say ,well that’s a given. But when you have a low opinion of yourself, its easy to let men walk all over you. Yes, I miss him and the tears are heavy. But I know in the long run, I deserve better. I feel more empowered than I ever have. So to all you ladies out there, be strong, love yourself… We are beautiful women! A very practical, direct, and powerful advice for those who can’t let go or move forward! Thumbs up!! Thanks a lot for this article. 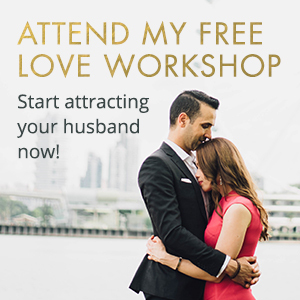 Your direct and practical advice came at a time I needed to reassess my relationship and define the best way forward. I hope I have the courage I need to make the right decision. This is a great article. Very well written. Thank you for 0utting things into perspective for me. It’s weird, it’s all of the things I already secretly know… but hearing them from someone else really makes all the difference.